Gather the family for a day at the farm with this Country Farm Electronic Farm House Playset. Feed the horses water from the water pump and lead them back into their stables while mom and baby sister makes sure the other animals are kept within the fences. Use the tractor and trailer to carry around the rolls of hay to be stored at the top of the farm house using the crane. 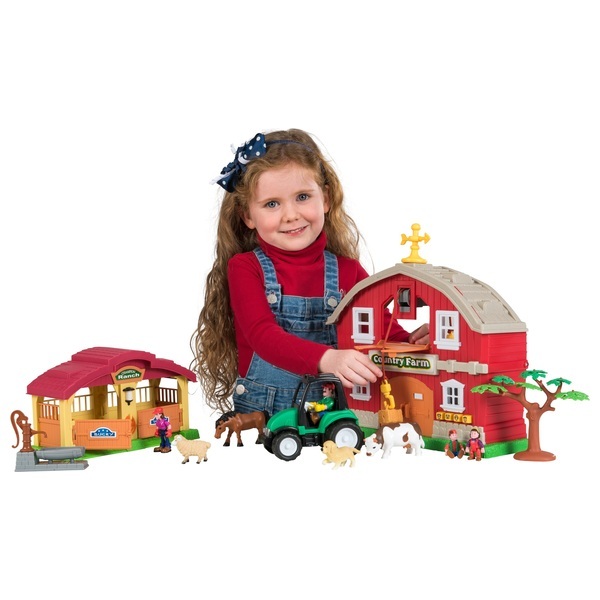 The country farm playset also comes with sound functions for each type of animal in the set and the numerous farm equipment will be sure to add to the fun.